The new app adds some free features, plus much-improved offline playback for Plex Pass subscribers. 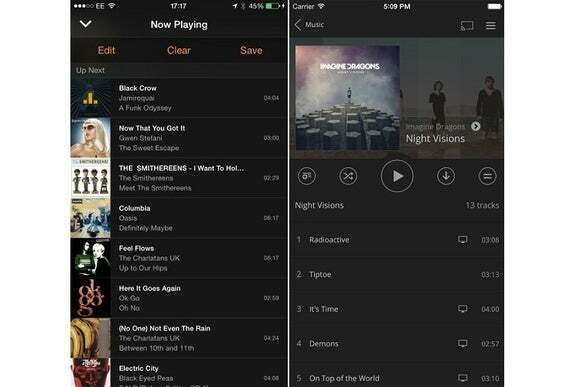 Plex for iOS is getting a much-needed makeover, with improvements to navigation and offline playback. With Plex, users can store their media on a computer or network-attached hard drive, and stream it other devices. It’s ideal if you have a large library of videos, music, or images, and don’t want them taking up storage space on all your devices. You just have to set up Plex’s Media Server software on the device where your files are stored, and download Plex’s client apps on other platforms such as iOS. 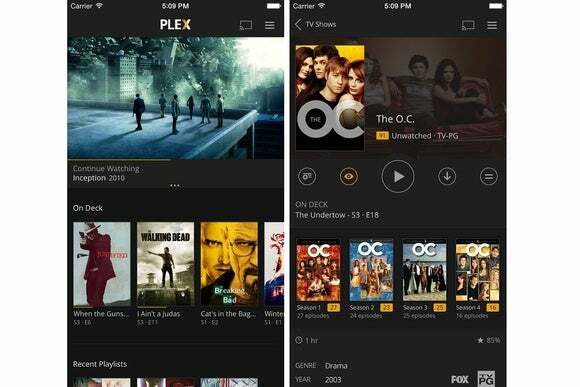 Beyond the new look, Plex’s overhauled iOS app adds new browsing features, such as similar movie recommendations, and searching by cast or director. Rotten Tomatoes ratings are now built into the app, and users can look up video chapters based on the name of the scene or the actors who appear in it. Plex’s old iOS app on the left, vs. the new one on the right. Plex also says it has revamped the syncing process for offline playback. It should be faster and more reliable now, and will let users access some of their offline files even if the entire sync process hasn’t finished yet. Synced playlists are now supported, as are advanced playback features such as sorting and shuffling. The app still costs $5 unless you have a $5 per month Plex Pass subscription. But if you already use Plex on other platforms, the iOS app now has some remote control features for free, letting you control playback or beam photos from your phone’s camera roll. Why this matters: The update is well-timed on Plex’s part, seeing as Apple recently borked Home Sharing for music in iOS 8.4. A fix may be coming in iOS 9, but until then, Plex is a fine alternative for streaming your tunes from a Mac to an iPhone or iPad.